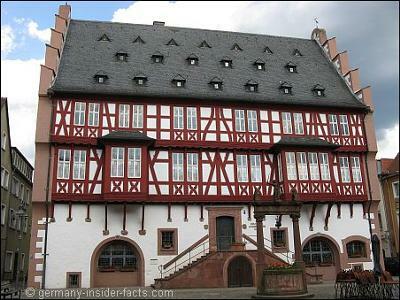 I was stationed in Hanau from 1967 until 1969. I loved the town. I went back in 2008 and 2009. It has really changed. I plan to go again in a couple of years. The 881st LEM was my home for 1 1/2yr. Pretty Country, good food & good beer. Our second tour of Germany was 1969 - 1972. We briefly live at McKee Baracks, Crailshiem just prior to Christmas. Coming from Fort Gordon, Georgia the snow was beautiful. We lived in temporary quarters on the top floor. Just curtains for a doors. I attended 6th grade there. Then moved over to Dolan Baracks in Schwasbish Hall. Beautiful old German City. My father CWO-4 Richard E. Hogue was the avionics maintenance chief for the OV-1 Mohawk aircraft. Everything then moved to Hanau. We moved and lived at Old Argonne Kaserne briefly. Used to watch maneuvers at Campo Pond behind Old Argonne. Then enjoyed the pizza place on the corner from the Kaserne. There was Hi-Fi Stero market across the street. My father took us to these places often. I live in quarters just across the playground across from Hanau elementary school. My favorite teachers were Mr. Fujimoto our science teacher and Mr. Schmidt my shop teacher. I still to this day have the maghogny wall shelf I built in his class. Then we later moved out to Fliergerhorst Kaserne. Great little base community to live in. I saw all the movies at the base theater their such as the "God Father", "The Omen", Willi Wonka, Kelly's Heroes and many others. On Saturdays I used to ride my bicycle to Pioneer Kaserne. There was a lottery for us kids to get the chance to make some money bagging groceries at the commissary. Later the Army brought in Turk Laborers and ended that for us kids. Us kids hated the Turks for taking our only job opportunity away. Anyway it was a great experience. I hated moving back to Fort Gordon but that is the way it was as a kid. I later would join the Marine Corps and have my own adventures. Station at pioneer kaserne 1971 thru 1972, 543 HEM company. My wife Kay and I lived off post in Wolfgang across the tracks on Bogenstrasse #7. Really enjoyed our time in Germany. I see lots of pictures of pioneer on the Internet but nothing of the streets in Wolfgang. Anybody have any? My ex-husband was stationed at Fleigahorst Kasserne in the 3rd Armored Division. I lived is Hanau with him from November 1967 to September 1969. What an experience to live and work in another country and a beautiful country it was. It was my first time being away from California and I learned to live and love this wonderful place. 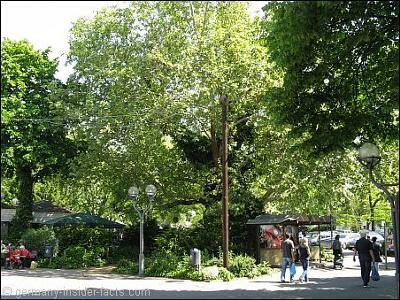 I will never forget the time I spent in Hanau! My dad was stationed in Hanau from 1969 to 1970. I have many good memories from there; it is where I started school from first grade to part of second. I also had the best Christmas in 1969. It is still in my heart. Hanau is my home town. I was born there in 1968. We left in 1982 and I've only been back once, in 1985, for about 1 yr...to Frankfurt, actually. Part of me wants to go back to Hanau but the other part is afraid that all the changes will hurt too much. Especially the absence of American Military! God Bless Them! I am glad you loved Hanau. I agree, there have been many changes since then, and more are to come. 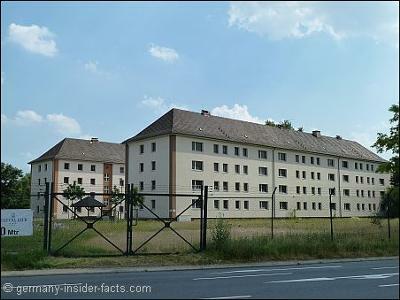 Now that the American troops have left Hanau the housing areas are undergoing conversion. Another big project is planned to make the city centre more attractive, although this is quite a bit controversial. But there are also things that will never change, so you will certainly find some places just the same as they were 40 years ago.